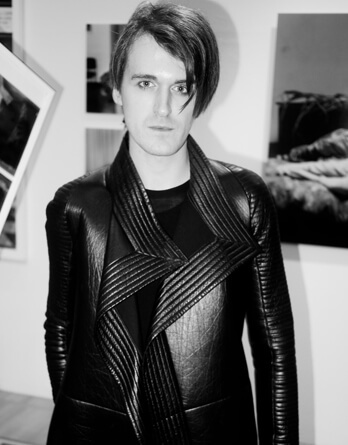 Gareth Pugh is an english designer, graduated of Fashion Design at London's Central St. Martins in 2003. Combining contrasting textures, strong architectural shapes and gothic, dark futurism, the collection proves to be one of the stand outs of the season. Although associated to the Rick Owens Gareth emanates more of a sense of adventure and the essence of British fashion. Pugh's trademark is his experimentation with form and volume. He has used materials including mink, parachute silk, foam footballs, afro-weave synthetic hair, and electrically charged plastic in his clothing.